Peak modular smartphone time seems to have come and gone without the concept having a lasting impact. We had the early spark of the idea from the Phonebloks community, which was taken under Motorola's then Google's wing, and were due as Project Ara phones in 2017, but ultimately fizzled out. Coinciding with the time when we thought Project Ara would still become reality, LG launched its modular LG G5 with all the impact of a damp squib. LG never created more than the initial two shrug-inducing modules which launched with the device. A new hope for modular smartphone dreamers might be on the way very shortly. 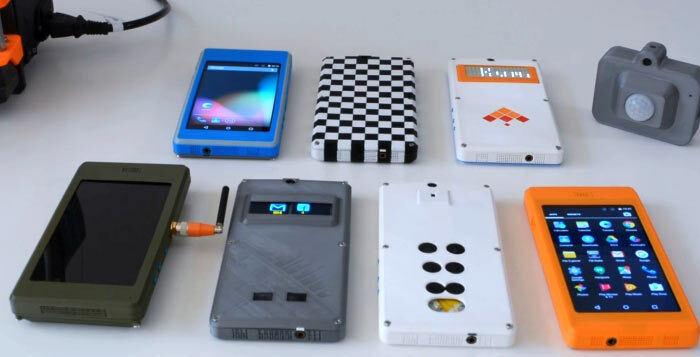 According to a report by Liliputing the makers of the KiteBoard single board computer will soon (April) be launching a Kickstarter for a Kite phone. 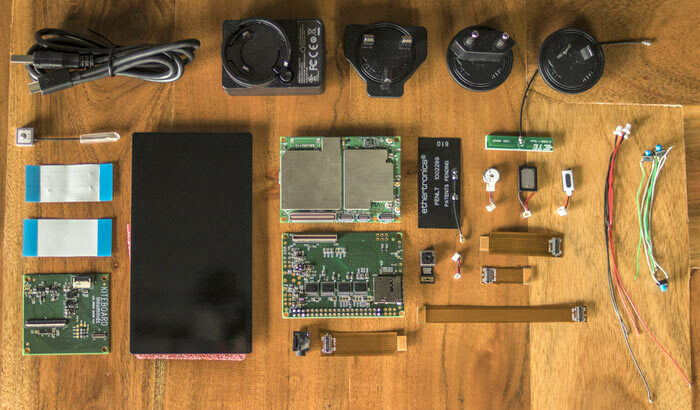 The basic kit from which you will assemble your phone is said to cost $299 - and on top of that you will have to 3D print your own case. Things might change before Kickstarter launch with cases being included as add-on options or stretch goals. In a demo of example Kite modular smartphone possibilities from the end of January we got to see great flexibility on offer from this modular design. In particular there were multiple back display options, an option to power the phone on AA batteries, a back fitted Braille keyboard, various extra sensor options, Raspberry Pi HAT and pHAT expansion options, and even an SMA connector to give your signal a boost. The demo phone which you see in the video is based upon the Kite v1.0 board and as such is based upon the following hardware: a 1.2GHz Qualcomm Snapdragon 410 processor ARM Cortex-A53 quad-core processor with Adreno 306 graphics, 1GB of LPDDR3-533 MHz RAM, and 16GB of eMMC storage (+microSD option). 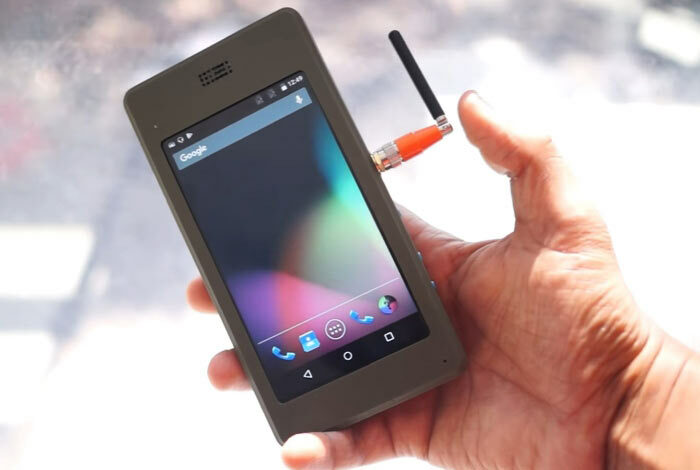 It is demonstrated running Android 5.1 on a 5 inch, 1280 x 720 pixel toucshscreen display, with a 12MP camera, 4G LTE, Wi-Fi, Bluetooth, and GPS antennas, pogo pins for a battery connector, and an expansion board that gives you a Raspberry Pi compatible 40-pin HAT connector, audio interfaces for the speaker, mic, earpiece, and 3.5mm headphone jack, and volume and power buttons. A 3,000mAh battery will be in the kit, but as mentioned above its possible to run this phone on AA cells. The developer of the Kite hardware, Shree Kumar, says that the Kickstarter project will be based around an upgraded Kite 2 board which boasts the following more impressive core specs; a Qualcomm Snapdragon 625 octa-core processor with Adreno 506 graphics, 2GB of RAM, USB 3.0 support, and support for dual cameras and dual 1080p displays. Thanks to the beefier internals it should ship with Android Oreo. 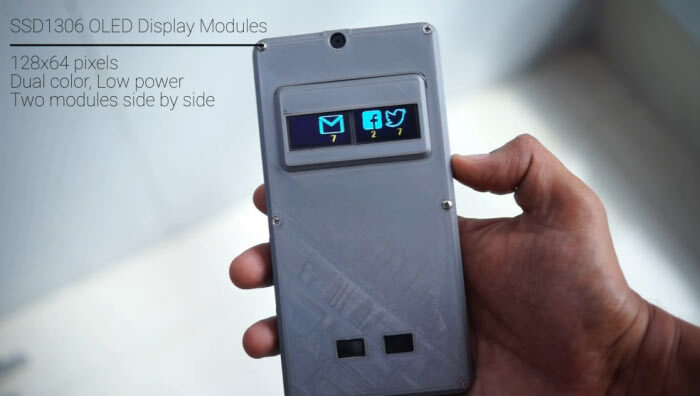 Ultimately the success or failure of the upcoming Kickstarter campaign will provide evidence of how much of an attraction this highly customisable modular phone concept is. The expected Kickstarter backer price of $275 might have a telling impact on the project's fortunes too. Its not cheap but at the same time,but £200 is not unreasonable for a DIY project like this since it does look fun. I really can't see this appealing to a relatively small niche market. You need a 3D printer for staters, although I expect there will be aftermarket services designing and printing a case for you, which is really the only bit of diy! But then I suppose building one of these is no different from building a computer, except the range of components is much smaller, unless of course others come in to design alternative compatible modules. Still, good luck to them.